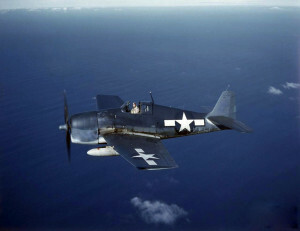 On the night of April 8, 1945, an Ensign piloting an F6F Hellcat, (Bu. No. 71551), was approaching the runway at Martha’s Vineyard Air Field, but forgot to lower the landing gear. The aircraft landed with the wheels up and began to skid along the tarmac during which time the belly fuel tank ruptured and burst into flame. Fortunately the pilot was able to escape the burning plane unharmed. The aircraft was destroyed by the fire.